The engineers at Nissan have outdone themselves with the latest crop of Nissan SUV models. At Balise Nissan of Warwick, we offer a range of options from the Nissan Rogue SUV to the three-row Nissan Pathfinder. Whether you’re heading off-road near North Smithfield or bringing the kids to Waterfire, we’ve got options that outpace the competition. Learn more about each model today! The 2018 Nissan Armada combines the utility of a Nissan truck with enough seating for the whole family. On top of that, high tech features like an available Intelligent Rear View Mirror help keep everyone safe on the hectic streets of West Warwick. 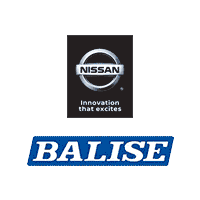 For more information, contact Balise Nissan of Warwick. You can stop by for a test drive in any of these Nissan SUVs, and our financing department will make it easy to get the financing you deserve. Visit us near East Providence today!